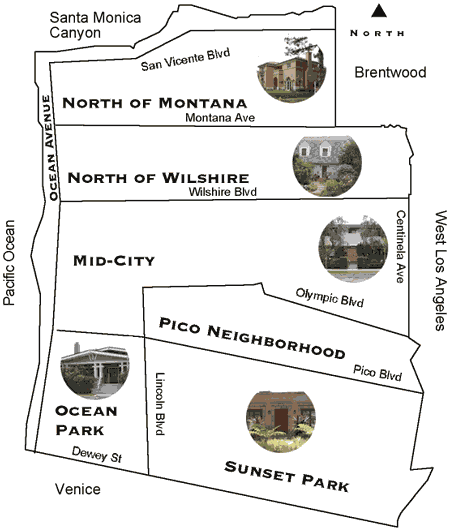 As a realtor, I find it makes sense to think of Santa Monica in terms of seven major areas, as shown on my map at right. Within a neighborhood, similar homes tend to stay within the same price range. But a distance of a few blocks can make a big difference in price when you're changing neighborhoods. Copyright © 2002-2012, 2016 James A. Brunet. All rights reserved.